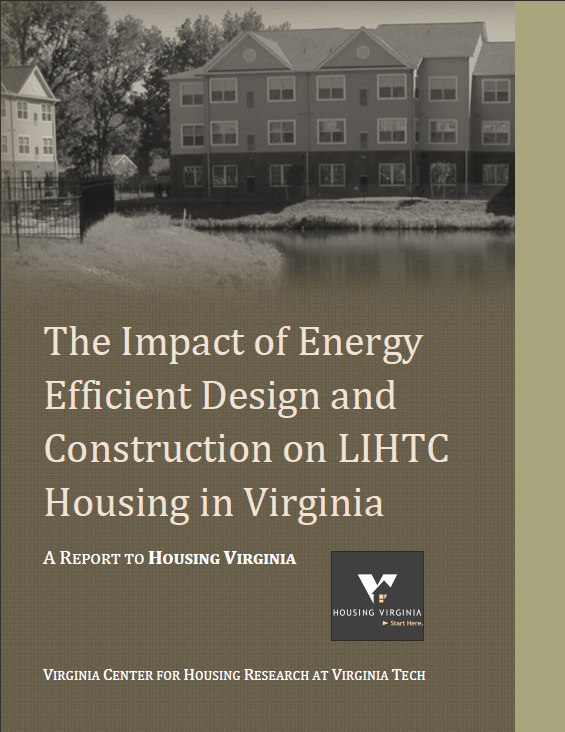 This report looks at how the Virginia Housing Development Authority (VHDA) might use the LIHTC program to encourage energy efficiency in affordable housing. The research addresses key issues related to Energy Efficiency and affordable housing through a rigorous measurement of economic impacts for low-income residents, distinguishing the effects of design, construction, technologies and behavior per unit. In addition, the research addresses how the policy to use EE might impact developers and owners in terms of property capital and operating costs. VHDA program incentives to use a green standard have been effective in encouraging developers to use the program but the focus is now on results. Future design, construction, and operation could increase energy efficiency in the affordable rental housing stock based on differences in performance among types of developments and units. Ventilation, refrigerator efficiency, water heater, and dryer efficiency, slab, simulated use, and people in units affect efficiency in the unit. In the design process, green certification agents add value as independent, third parties that implement green buildings.